Many family therapists provide their professional services to families who seek comfort from the difficulties of family life. When you are considering whether or not to engage your family in regular or a one-time session with a licensed and experienced family counselor in Houston, you are most likely there to get help with a desperate family situation. Some individuals find the experience intimidating because of the shame and guilt of feeling helpless in their position or they think that professional help may not solve their problem. Whatever resistance it may be, counseling has proven to provide an excellent service to mend broken relationships as well as address difficult issues within your family unit. A significant role of a family counselor is to facilitate effective communication amongst the members of the family, as well as to understand the unique family dynamic. In turn, a family counselor will help fix ongoing issues or even prevent further dysfunction later on down the road. Although there is so much to be said about the benefits of family therapy, let us go further in depth with four essential benefits to seeking professional help for your family. The reason why most problems arise in a family is that of a communication breakdown. We aren’t just talking about fights between married couples, but conflicts amongst all members of a household and family tree. By working with a family therapist, each family member is brought together to create a united goal of learning to determine solutions to problems they are facing. Whether that’s identifying lingering conflicts that occurred in the past or new family dynamics that may be difficult to resolve; therapy will allow everyone involved to gather to work together. Our family therapists deal with ongoing mental health treatment that sometimes may involve the entire family for the benefits of individuals going through addiction treatment. Research has shown that family counseling sessions coupled with individual therapy are highly practical as it is vital for our clients because it rebuilds bonds and creates accountability. The encouragement of belonging to a team allows the affected individual to want to pursue treatment more when they commit to working together. A family counselor will help identify the strengths and weakness of a family system to produce a plan that is just right. Another impactful benefit to seeking professional family therapy versus trying to resolve conflicts on your own is the unique environment provided for your specific situation. Family therapy sessions will open up your family members to discuss serious topics with each other without feeling judged. Our counselors are trained to teach each member to communicate without anger, resentment, or frustration. 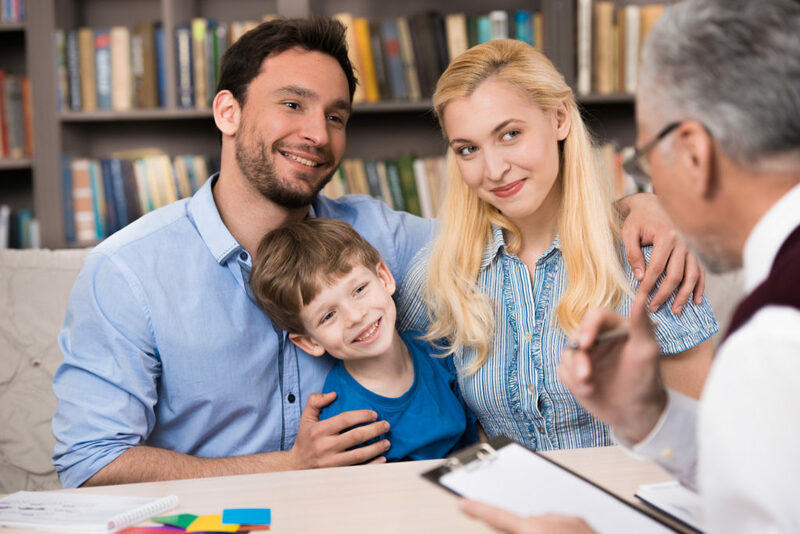 By choosing to work with a licensed family therapy practitioner, your family unit will gain access to a safe and open environment to address their emotions and their thoughts. Sometimes, reaching out to a particular person in your family unit may be difficult, especially if there had been a previous communication breakdown. As such, our family therapists can be that mitigating force to mend and repair the ties that once bonded your family unit together. If you cannot find a way to reach out to your family on your own, a counselor can help you manage your concerns to initiate dialogue within your family. Family therapy has been established to be very useful in helping our client overcome mental health issues. It is mainly the case for individuals in treatment for a number psychological health issues such as eating disorders, substance abuse, and personality disorders. A family counselor can work to help family members manage their life and communications with the individual’s disorder; allowing a positive relationship in spite of having to cope with the mental health challenge. Our family therapists of Houston Grief Recovery Center have counseled many families in learning how to contribute to the family by becoming more self-aware of personal actions impacting the family unit. The benefits of learning awareness will help everyone in the family grow and make a plan for the future together. Your family will learn to use particular strategies for conflict management and resolving challenges together to improve personal and professional performance. If there was a breach of trust, it might be impossible to foster a dialogue to repair the damage. The benefits of having a family therapist present are to assist conversations with strategies that reduce sources of tension and stress. The focus will be on resolving the conflict by bringing the family together to helping its members forgive each other and instill trust again. Relationships can improve through holistic approaches to building healthy boundaries and family dynamics in a safe and controlled environment. A healthy family dynamic is available with the help of a family therapist. With the guidance of an experienced professional, you can build a deeper relationship with those closest to you. Overall, family therapy sessions will attempt to improve the skill sets behind building a secure family unit. Your family may gain the benefits of realizing how, to be honest with each other through communication, as well as learning acceptance amongst all members of the family unit. The role of a family counselor is to help educate members with problem-solving skills, strategies to improve the relationship dynamics, and plans for the future. If you need help in progressing the relationships within your family, you can contact us at the Grief Recovery Center for more info today.